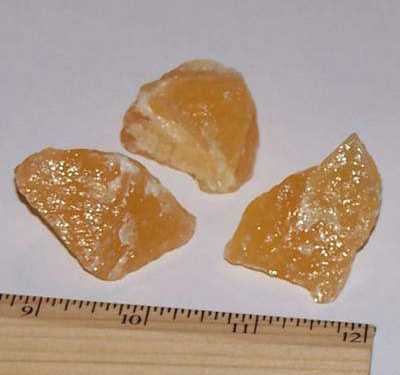 These natural chunks from Mexico are a translucent, glowing, orange color. They are just the right size to keep in the pocket, purse or medicine bag, and they are excellent for placing directly on the Sacral and Solar Plexus Chakras during body layouts. Calcite is a powerful energy amplifier and cleanser. The purifying energy of Calcite cleans out stored negative energy from a room, the body, etc. Use Calcite to clear out old energy patterns and to increase personal motivation and drive.